The first suggestion we make is to read what we said last year about the month of Av. What will be said this year will build on what we said last year. Below are the links to the last few years' Blogs about Av. Please press your back button to return to this location after you read last year's Blog. The meaning of Av is ancestors and in modern Hebrew has come to mean father - the closest male ancestor. The month of Av is frequently referred to as Menachem Av. Menachem means "will comfort". Since we will find that time is a significant part of the essence of Av, the future tense can become the present tense. This month is the comfort of the Children of Israel although many of them do not see this. This is because many people utilize the 9th of Av as a mourning day while the Kabbalists utilize the 9th of Av as a mourning the loss of the Mitzvot since the Mashiach is born on the 9th of Av. This year you may see the beginning of the peace treaty manifested on the 9th of Av. Attribute: Listening שמיעה Shemeah Listening is a more intense form of hearing. The listener is truly focused on what is being heard. With this focus one can hear the "still small voice" within. This is a code phrase for the Voice of HaShem within each of us. The majority have forgotten how to listen to / for that voice of direction. Today i read a drash about the Parasha of Masei in which it is recommended to have some sense of which direction one is going. When at a crossroad and the tools of logic and intuition have failed to indicate a direction to take within the frame of your life. Sit down and wait. Having faith will only cause you to come to chaos. Let HaShem's voice direct you. When you sit down and wait you have the focus to "listen" to that "still small voice" within. Ancient Tribal Connection: Issachar יששכר The Tribe of Issachar is referred to in the Tanach as "knowing of the understanding of time." In the times of the Temple and the Tanach, the other Tribes members would search out those members of Issachar and ask them about their individual futures. Many of the leaders of the Sanhedrin came from this Tribe. Please note the complete phrase that describes Issachar. It is not "understanding of time" nor is it "knowing of time." It is both the knowing and the understanding. These are code words dealing with the Tree of Life. This is what we receive when we utilize the attribute of listening. Remember the Torah Scroll is heard not read by everyone on Shabbat. Do you listen to the Torah Scroll or do you hear the Torah Scroll each Shabbat? The natural affinity of the Tribe of Issachar actually comes from its connection to the Land and to farming which was also done by the members of the Tribe. Issachar did Study Torah more intently than Zebulon yet they did not totally receive support from Zevulon. They farmed and raised animals as well. Modern Tribal Connection: Shimon שימון Shimon is connected to harsh judgment which is why the Land that Shimon received was not unified. When one is around Shimon one is in a state of Judgment. Judgment can be difficult or for the righteous it is beneficial. All related to cause and effect of our own actions. In the first 10 days of Av we can mourn for the physical things like the destruction of the Temples and other calamities of the Plan of HASHEM that we call history or we can mourn for the loss of the Mitzvot due to the arrival of the Mashiach. Or we can celebrate the birth day of Mashiach. It is your free choice. Tribal Totem: Chamor חמור Chamor means donkey. It is a code word for the physical world. The donkey animal has two attributes that relate to this month of Av. The donkey will carry any and all loads even the load of other people. This is why the attribute of Endurance is attributed to the donkey. The donkey also never loses track of time. He decides when it is time to move and when it is time to sit as recommended above. Tribal Stone: Sapphire ספיר Sahpeer Sapphires have the quality of healing. 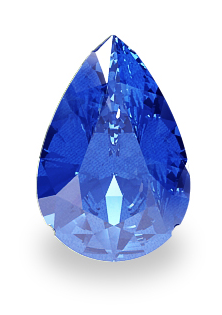 The Sapphire comes from the same root as Sefirot which deals with counting. An aspect of healing is counting the time between the decision to do Teshuvah and the effect of the Teshuvah which ultimately removes the lack of health and restores one to complete health. Tribal Herb: Myrr מור Mor Mor is one of the 11 components of the Ketoret which actually is a tool to bring one closer to the Creator. The shoresh of the Myrr in Hebrew is bitterness. Yet the quality of the Myrr is sweetness. This duality is coming from the Tet as will be discussed below. House: Children בית הבנים Bait Habanim Please note that the word Habanim can be translated as "the sea of sons or children" which includes both boys and girls. Since we know that sea is a code word for Torah we learn that by listening to children we learn how to live Torah. This is before children become adulterated by the limitations that their parents teach them. i am not meaning boundaries that all children need and crave to live in a society. i am referring to those limitations that cause us to become sophisticated and other wrong actions. 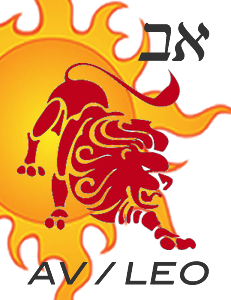 Zodiac Sign: Aryeh אריה Lion See below for information about the Zodiac sign of Aryeh. One hint regarding the energy of the month comes through the lion since Aryeh has a gematria of 216, the same as the Sefirah of Gevurah meaning judgment. Tribal Flag: Blue and Black with the image of the sun and moon שחור דומה לכחול . This reflects the Holiday of Tu B'Av (15th of Av) which is the idea of the sun sharing all of its light with the moon. The sun represents male and the moon represents female. This is why Tu B'Av is referred to as the day of unity and the Hebrew Valentine's day in the modern world. Tribal Direction: East קדם and מזרח Kedem and Mizrach - There are two words in Hebrew that mean East. One word - Kedem has the meaning of "beginning" and the other word Mizrach has the meaning of "shining". 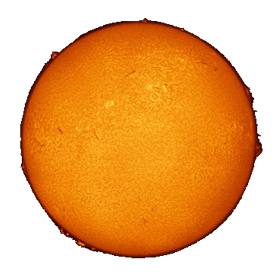 Both relate to the rising of the sun which is the planet connected to the month of Av. The month of Av is the fifth month of the Hebrew year. The number five has many different Sefirotic perceptions and these also apply to the month of Av. Counting down from Keter the Sefirah is Gevurah representing Power - Judgment - Strength - Boundaries - Limitation on Loving Kindness which is Chesed. Counting up from the Malchut it is Tiferet which is discussed below. The fifth month Av connects to the Sefirah of Hod (Starting from Chesed). This is hinted at by the meaning of the Hebrew word Av which in addition to "Father" also means "happening." Hod represents Malchut in the frame of the spiritual world. Malchut is manifestation which can be understood as relating to the English word "happening." Five can also be considered connected to the Sefirah of Hod. As we will discuss below, Hod is considered the Malchut of the spiritual frame. Hod also represents appreciation and thankfulness. These are very good attributes to utilize during the month of Av. The fifth Sefirot from below is Tiferet. Tiferet is also called Zeir Anpin by itself as it represents all of the Six Sefirot of Zeir Anpin. Tiferet embodies the energy of the sun. All of this is consistent with the energy of the Hebrew month of Av. These two connections to Hod are reflective of the dual energy of Av that comes through the letter Tet that created the Month of Av. We will discuss more of this below. The months of the Hebrew year are connected to the Tetragrammaton. The Kabbalists teach that Tammuz, Av, and Elul are connected to the Upper Hey. In Kabbalah the Upper Hey represents Binah also called Emma or Mother. The Mother gives birth to all of the six attributes of Zeir Anpin. She represents the seed level for these six attributes. The Kabbalists teach that these attributes are the emotive passions or emotions. Av is the left column of the Upper Hey which is why it is a fire sign in Hebrew Astrology. The name of the month Av is spelled Aleph Bet. In reverse order Bet Aleph is the shoresh of the shoresh Bet Vav Aleph. This three letter shoresh means to happen, to enter, or to come. It is clearly true that we are coming to the end of our year since there are seven Shabbats between the Shabbat after the Ninth of Av (see below) and Rosh Hashanah, the Day of Judgment. Due to this fact we enter the process of Teshuvah. Of course, the first Nine days culminating in all of these "less than perfect happenings" seem to be a different energy than the last 15 days of the month which seem to have the energy of Comfort. This is also why the month has been given the nickname of Menachem Av. This phrase translates as either comforting the father or Father's comfort. The difference between these two translations is the difference in the energy between the first 10 days of Av (representing the hardest part of the negative three weeks) and the last 20 days bringing us to the comfort of our Father and His promises of the Redemption, the return from exile, and the coming of Mashiach. All of these things depend upon your and my level of Teshuvah. Teshuvah means "To Return to HaShem." Did you know that you had left HaShem? This is actually one of the purposes behind the energy of the month of Av. Let me explain a little more. Kabbalah teaches a metaphor that when we do something wrong we separate the letters of the Name. This is also explained as "we are leaving HaShem" because we are related to the lower Hey which is the letter that is separated by our negative action. WE ALL LEAVE HASHEM AT ONE TIME OR ANOTHER. The dual energy of Av helps us realize that we are separated. This is one of the aspects called "Mourning for the destruction of the Temple" and also celebrating the fulfillment of the Building of the Third Temple. The Tetragrammaton permutation comes from the first letters of four words in the Verse Devarim (Deuteronomy) Chapter 27 Verse 9. Here are the four words הסכת ושמע ישראל היום . The word for word translation is "listen," "hear," "Israel," and "this day." The two different words used to inform the Nation to hear and to listen indicate the two different energies of the month. Now let's look at the permutation of the Tetragrammaton for the month of Av and what we can learn. The Tetragrammaton is normally spelled יהוה. When the Yood is in the first position, the first position is normally considered the World of Atzilut (Emanation). The second position normally has a Hey and is considered the world of Brea (Creation). The third position normally has a Vav and is considered the World of Yetzirah (Formation). The fourth position normally has a Hey and is considered the World of Assiya (Action or Manifestation). When we look at the permutation for Av, we see the Tetragrammaton is in two different modes. The upper worlds (The Yood and Hey) are in the correct order yet in the wrong locations, and the lower worlds (The Vav and Hey) are in the wrong locations and the wrong order. Both of these conditions indicate a frame of judgment. In Kabbalah Judgment comes in two forms-Soft judgment (the last 20 days) and Harsh Judgment (the first 10 days). This double aspect of being in the wrong location and wrong order of the lower worlds help explain why the first 10 days are so judgmental and negative. In essence the month of Av is a month that represents a duality. The first 10 days are part of the negative three weeks and there are many recommendations as to how to minimize this impact. Among them being neither to eat meat during this period nor to go to court during this period especially against a non-spiritual person. It is also recommended to utilize the 3 weeks meditation during the first ten days. The last 20 days while still in a frame of judgment are less harsh (soft judgment). This is a period that brings us to contemplate our own mistakes and make amends so that we have the vessel to return to God or do Teshuvah. The letter Caf created the sun and the letter Tet created the constellation we call "Leo" or "Lion." In Hebrew the word for lion is Aryeh אריה. Aryeh has a gematria of 216 which connects to the word/Sefirah of Gevurah and also is the number of letters in the 72 Names. This is another aspect of the two energies. Caf represents the Crown, royalty, balance, and completeness. Tet represents the sexual organ. This is generally understood as a dual potential for either bliss or destruction, ecstasy or misery. The dual energy of this month comes from the letter Tet. Just as the sexual organ has two energies (sperm that brings life; urine that excretes waste), the month of Av has the two energies of the harsh judgment of the first 10 days and the soft judgment of the process of Teshuvah - Returning to HaShem. 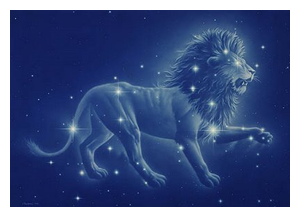 Leo's receive their energy directly from the sun, and they are the only sign that falls under its influence. Because of this, Leo's believe that the whole world revolves around them. Confident of their power and abilities, they broadcast their self-assurance to the whole world. They are hard to ignore. This energy will impact all of us during this month of Av, this month of Leo. A Leo's weak point is the heart, and thus is prone to cardiovascular disease. Kabbalah tells us that a Leo’s role in the world is comparable to the heart’s role in the body. Both have been given the responsibility of pumping out and distributing all the energy that they receive. This is a recommendation on how to behave during this month. Share what you receive! The two letters Caf and Tet have a gematria of 29 and a small gematria of 11. The number Eleven represents the negative system since it is one more than the 10 Sefirot. 11 also is the number of components in the Ketoret - Incense which is a Hebrew word that means draw closer. A word that has the gematria of 29 is Cozav spelled כזב. This word has the meaning of binding together. This is a good practice to implement during the month. Perceive everything as bound together. Also, try to bind everything together even when you perceive things as separated. Of course this is easier said than done. One of the names for our physical world is the "world of separation." This is because this world is designed by HaShem to see everything as separate from everything else. I am separated from you, you are separated from other people, each animal and plant in the world is separated from every other plant and animal as well. This is of course an illusion. Even as we live in this physical world, we also live in the Ain Sof where everything is unified. By struggling to see everything unified instead of separated we achieve Tikune (correction). Here are two meditative exercises to help you with this process. 1. Meditate on the letter Pey which is formed by leaving a space that looks like the letter Bet in the middle. Try to see the letter Pey and the Letter Bet simultaneously. 2. Sit on a park bench and observe some children playing. Now close your eyes and imagine you are inside one of those children. Try to become one with the consciousness of that child. Devarim - Shabbat Chazon. This will be the raw naked energy that is needed to withstand the onslaught of the negative system this week. Re-eh - Means to see. This week we will receive the energy to see into ourselves as we receive the wakeup call of hearing the Shofar and doing the ritual of Slichot. There are two Holidays in Av. One is on the 9th day and is called Tisha B'Av and the other is on the 15th day (the full moon) and is called Tu B'Av. As is seen from above about the dual energies these holidays are opposite energies as well. Or perhaps more accurately they are days of less intense and more intense aspects of the same energy. Let's discuss this possibility. Tisha B'Av is a fast day - a fast that lasts 25 - 26 hours. In the heat of the sun a fast is the most difficult and i suggest for those who do fast they do the ritual suggested by the link below. Tisha B'Av is thought to be a day of national mourning. What are we mourning? Some say the destruction of the Temples (both of them - destroyed on the same day)! Some teach that we are mourning the dead throughout the centuries who died just because they were spiritual and/or Jewish - especially the 6 million who died in the Holocaust. The Kabbalists teach a very unusual aspect of mourning. They teach that Tisha B'Av is the birthdate of the Mashiach and therefore, we should be happy and excited over his coming and at the same time (unifying the two energies) we should be mourning the end of the opportunities presented to us by the Mitzvot. The Mitzvot were created to help cleanse us so that we can reach a higher state of consciousness. A higher state of consciousness means being able to come closer to HaShem. When Mashiach comes this process of cleansing and elevating our consciousness will come to an end also. In a sense that is sad (only if we have not achieved all that we can achieve). I know this is sometimes very hard to relate to. Remember we are not mourning something physical - even when we read the words that seem to imply a physical aspect to the mourning. This understanding will help you relate to the true dual essence of the Ninth of Av. Please use this 3 Weeks Meditation up to and through the sundown on the end of your fast. This year of 5777 The Fast of Tammuz does not fall on a Shabbat. [Since we do not fast on Shabbat (Yom Kippur is an exception]. The Fast of Tammuz this year of 5777 is Tuesday July 11th. It starts at sunrise Tuesday morning and completes about 9 PM Tuesday evening. The meditation should cease after that time. The Holiday of Tu B'Av is only 6 days later on the full moon day. It actually is the highest non Holiday energy of any day in the solar year. This is because the Sun created the month of Av and on the full moon is sharing completely the most energy that it can share. This represents the unification of the energy of the sun which is male with the energy of the moon which is female, the ultimate Zvug or connection. This is why the day is referred to as the Hebrew Valentine's Day. The story in the book of Judges says that 11 Tribes vowed not to give their daughters as wives to the Men of the Tribe of Benjamin for some action that Benjamin had done. These 11 Tribes went to war against Benjamin. After the war there were no more women from the Tribe of Benjamin as they had been killed during the battles. The 11 Tribes were repentant as they realized that they no longer had 12 Tribes which is necessary for the complete vessel of the Children of Israel. Yet they had vowed not to give their daughters as brides. So they devised the "Sadie Hawkins Day" ritual as described above. The nation was sad that they had killed their brothers and sisters of the Tribe of Benjamin and they rejoiced at being able to rebuild Benjamin through this ritual-again the dual energies of Av. I hope you celebrate Tu B'Av. 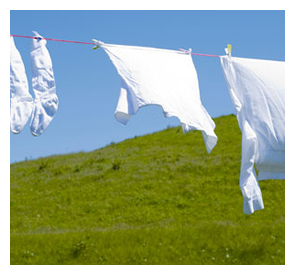 If you are single go to the fields (parks of your community - go in borrowed clothing- especially white clothing). You might be surprised at whom you meet. Of course, as always with Kabbalistic rituals it is necessary to know it first and then you can experience it rather than the more traditional western value to need to see it in order to come to believe it. For couples it is a good day to renew your life commitment on a personal level and imitate the Zvug between HaShem and the Shechinah. In whatever way you find that appropriate. This year is an especially auspicious Tu B'Av as will be revealed in our Holiday connection on Sunday August 6 2017 at 7 PM West Coast time. I strongly suggest you listen to the Holiday connection on the telephone conference system. It is an exciting message that will be revealed. Here is the link to the Tzadikim from Av. The fifth of Av is also a positive high energy day even when it is within the three week period. The ARI Rabbi Isaac Luria left this world on this day. He did so since this is the 5th day of the 5th month. This is Hod SheBe Hod in the frame of the months. The ARI left in the same Sefirah that Rabbi Shimon Bar Yochai left on Hod She Be Hod in the frame of the Omer. We will be teaching an all-night study of his teachings that night. Our connection to this energy will commence on Thursday July 27 2017 at 11 PM West Coast Time and will go until i run out of energy or there is no one left on the conference call. I suggest you spend some time during this month checking out the attributes of the name Shimon and the Name of the Nasi who gave the dedication and his consciousness of why he gave what he gave. Remember not all of these attributes are positive and with the tool of "Binding by Striking" we can correct them and transform them into positive aspects. Here are strategies to adopt for this month of Av that will help keep you in control of your emotions. Yet remember the most effective tool to keep you in emotional control is Binding by Striking especially step one that of STOPPING YOUR REACTION. 1. Delay Interactions especially confrontations: The month of Leo puts out an energy that makes people think they are Royalty. People MUST listen to them is how they feel. This is especially true during the first 10 days. That feeling is not always true, and it is best to delay interactions to give us the opportunity to diffuse those feelings. 2. Review Relationships: Starting after the 15th of Av (Full Moon Day) review the people we know. Who do we attempt to stay away from? Who have we had conflicts with that we still harbor grudges or anger? Who would we like to make up with? Do not do anything but make a list of these people and past actions so that we can review this list later. The energy of Av is conducive to making the list while the energy of Elul is conducive to the process of Teshuvah - Returning to HaShem. 3. Do not Speak or Listen to Loshon Harah - Evil Speech: Since the energy of Leo makes us feel that we are royalty, and we all know royalty is better than common people, we have a tendency to speak Loshon Harah during Av. Evil Speech is TRUE. It is not a lie. EVIL SPEECH is TRUTH that makes another person lower. It is disparaging towards others. Let me give you an example that is very common and people do not think about it. You are standing at a cocktail party with two other people. You say to one of them "You really look great in these clothes. This is really your color." What you may not be aware is the other person feels hurt since you did not say anything about them. That hurt gets justified in an anger towards the person who is complimented. Even though you said the truth you created a conflict between two people. This is one of the things that you will be asked about on your judgment day. I strongly recommend that you read the rules of Loshon Harah. You can get it in your email for free from the Chofetz Chaim Heritage Foundation. 4. Share with People: This is a month that petty conflicts arise (soft judgment). The way to heal these is to go out of your comfort zone and share with people. Share your time. Share your strength. Share your efforts. And Share your resources. Share with people you normally share with and ALSO THOSE you do not normally share with. Write out your Tzedakah checks early even if you do not mail them. Make your intentions known to the universe. Share from a generous consciousness. Do not give to the point of being resentful. Share for the sake of sharing. Remember what Kabbalah teaches. The more you share the more you can permanently receive. In 2008 when the American economy went down, one of the reasons was people did not do these actions of sharing during Av and Elul. Do not think of this sharing as coming from Royalty to Commoners which is the way the energy will let you feel. Think of this sharing as being the commoners were created for you (the Royalty) to save your life. Expand your awareness of HaShem Since you will be thinking you are Royalty it is important to remember that HaShem created you. Look around you. What has HaShem shared with you in your life? How has HaShem blessed you? Study the words of Psalms and Proverbs. Read the book of Job. Learn to be magnanimous. The influence of the Aryeh, which means Leo in Hebrew, is on all of us during the month of Av. Our ego constantly convinces us that we know it all—that we alone are the architects of our own success. Humility is therefore the key word of the month. Go out and ask for help—from the Light and especially from people with whom you feel competitive. Be careful of false humility. Humility means know who you truly are and also what the other person in your life at this moment truly needs. This is the gift of Aryeh to each and every person this month. You just have to ask the questions "Who am I? and What does HaShem want me to do?" for the universe to try to give you the answer. Of course you must be open to receive the truthful answer the universe is showing you. If your lunar north node is in the Zodiac sign of Av, your Tikune is in Aryeh or Leo in Hebrew. The person with a tikune in Leo carries the former life of an Aquarius into this life. You are an individual who is set apart. In your previous incarnation you were considered important and unique, and you have brought tremendous inner power, ample creativity, and fierce ambition with you into this life. You were never a model of discipline, however, and you still seek originality at any cost. You are a rule breaker. As a result, you may have difficulty getting others to take you seriously. Although keeping yourself apart has strengthened you, you overcame doubts by confronting them. Relationships meant the world to you, but you were always afraid of being abandoned. You even tolerated abuse in order to maintain closeness, and you always had the feeling of not receiving in return for what you had given. You let relationships dominate you, and because of this, you never developed to your full spiritual potential. In your previous incarnation, you had the opportunity to rise from abject poverty to the heights of affluence, and these opportunities will present themselves again in your present incarnation—if you learn to exploit your inner strength. You have been severely scarred by your lack of discipline, which in previous incarnations prevented you from focusing on real goals. In your life as an Aquarius, you already had an acute sense of justice and equality. Your energy was utilized now and again for defending noble causes, but you preferred to deal with masses of people rather than with individual human beings. You see yourself in the future rather than in the present. The tikune in Leo points you toward abandoning desire for superficial originality in favor of developing your capacity to serve humanity. You must pursue this path for yourself, not for the eyes of others. You have, in fact, more than one key from your previous incarnation to use in this one. Your ambition will help you find a true and noble cause through which you will share your gifts with humanity. Your tikune suggests that you will be given the opportunity to lead, provided that you do so in a selfless way. Along this path, you can use your inner strength, creativity, and originality to reveal new opportunities in the world around you. Enjoy this month. You will feel like royalty because you are. Just don't look at everyone else as your servant. Realize that they are royalty too and you are there to serve them!